What have you got left over in your fridge? No, we’re not just being nosey, this is a creative question for the Lets Eat This ‘food waste extravaganza’ challenge, a really imaginative and generous event organised by the Himalayan Centre for Arts and Culture with our equally enterprising colleagues at the World Kitchen in Leith. On Saturday 19 September three cooks will take up the challenge to produce tasty food from typical leftovers in a live cookery demonstration. Ready Steady Cook eat your hearts out! You can tweet or text your ingredients using the #LetsEatThis hashtag. And, then come along to St Mary’s Star of the Sea church hall in Constitution Street from 11 am to 2pm to see what they dish up. WKil’s Meena (@Chai_Lounge) has started to answer questions on Twitter and is already conjuring up spicy Indian dishes with cauliflower and her very own ‘Leith Mess’ made from leftover fruit and yoghurt. 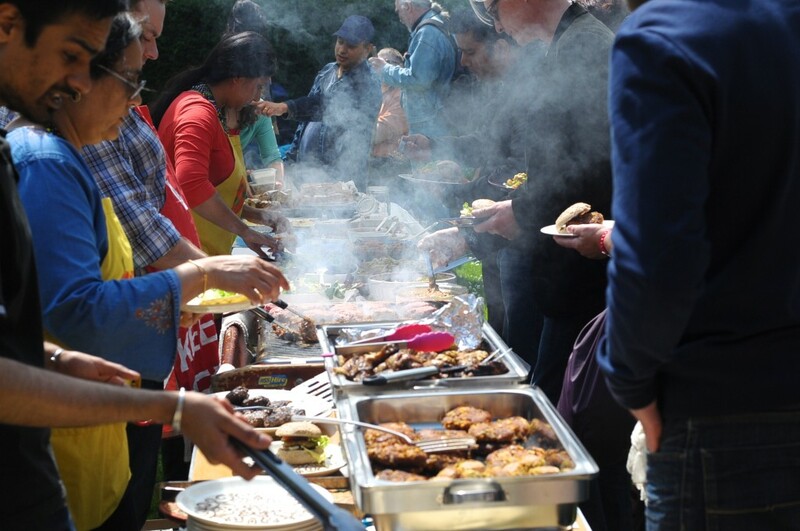 Lets Eat This – the latest in the programme of Carbon Conversations hosted by the Himalayan Centre – aims to cut food waste, reduce food bills and inspire healthy, tasty eating. And Leith Open Space is delighted to be supporting it. 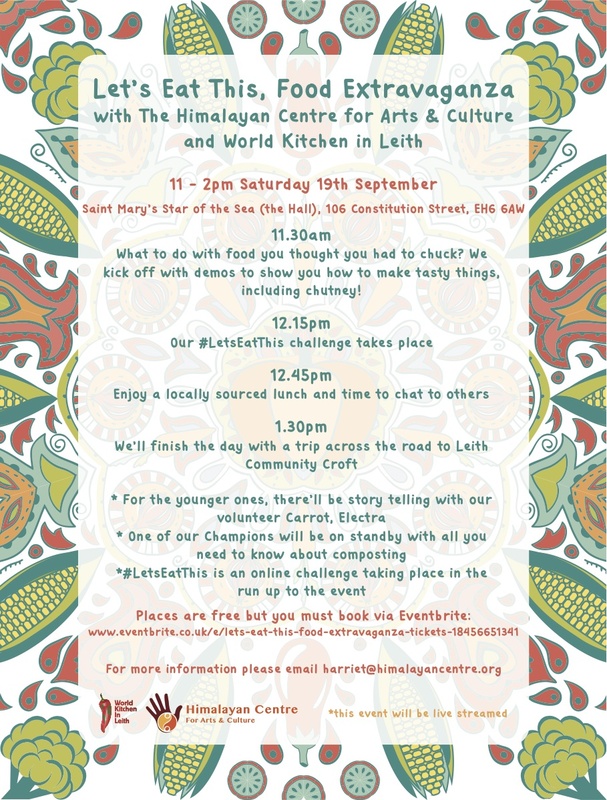 As members of the wonderful WKiL, we will be there to help channel the tweets and taste the treats being cooked up by Meena and Alice on the World Kitchen table. Meanwhile, Gavin, one of the volunteers at the Himalayan Centre, will be demonstrating how fruit and veg can be transformed into delicious chutneys. And (making sure there is absolutely no waste!) Denbigh, another volunteer, will be showing how to make compost for the vegetable garden. We are also excited to announce that this event will be broadcast on Livestream. So if you can’t be there in person, you can tune in from elsewhere in Leith – or the other side of the world – to join in the fun. Dougal Perman of Inner Ear is kindly demonstrating how events like this can reach a wider audience, both as a live happening in real time, and as an archive video which can be enjoyed long after the event. The Lets Eat This video will be available to watch on demand at any time shortly after the event. Look out for the Carrot (otherwise known as Electra) who will entertain children with storytelling. After lunch (supplied by local caterers) all compostable leftovers will be taken across the road to the Croft. And the weather forecast promises sunshine on Saturday too! See you there. Don’t forget to book at place through Eventbrite.